First Line: I stared at the pile of boxes in my new bedroom, wishing the Internet had been hooked up. I really had to wait a long time before I could write this review to prevent total fan girl style review. Plain and simple I neglected all my responsibilities the day I picked up this book. Obsidian was just that good. Anytime someone talked to me I'm pretty sure I gave them the evil eye for disturbing me and ignored them and went back to Daemon who I couldn't get enough of. Also just for the record I've never read an alien book since they never appealed to me at all and I'm so glad the first one I decided to pick up was downright amazing. Katy has just moved into some small middle of nowhere town with her mom because her dad passed away a while back and they are looking for a fresh start. Everything is normal until she meets her neighbors. Dee who instantly becomes friends with Katy is great but her brother Daemon is downright horrible towards her, yet he is always the first one there whenever something bad happens to her and soon she discovers that neither one of them are human but in actuality they are aliens. Anyways I was sucked in from the beginning I loved the banter between Katy and Daemon. These two characters had some major out of this world chemistry. There were moments Katy wanted to kill him and other moments where she was fighting all that sexual tension. They both know how to push each others buttons and that only leaves for some fiery conversations between the two. Also I loved that Katy was a book blogger that made her relatable instantly for me. 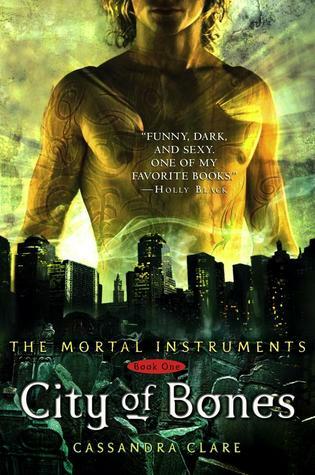 Then there is Daemon who has this hot and cold vibe. He is so rude but you can't help but love him especially as we get glimpses of who he really is behind all that obnoxiousness. 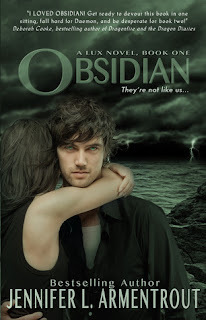 Books such as Obsidian are the reasons I love to read and I highly recommend it.